Want to save a life? 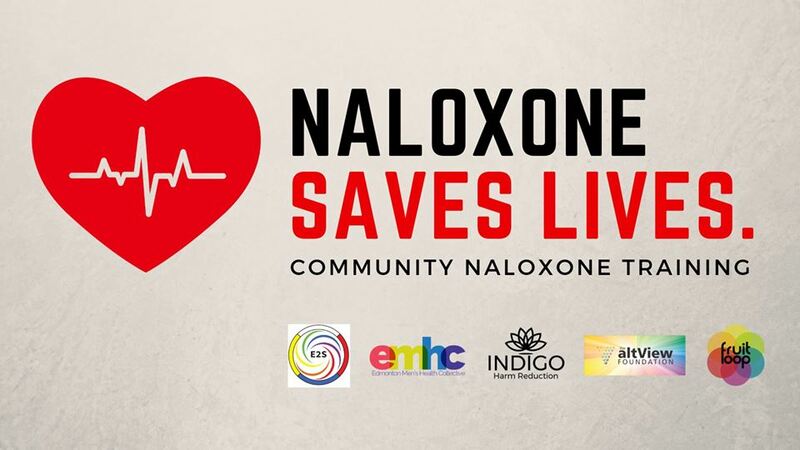 With Naloxone access and training, you can! Naloxone is a life-saving drug that temporarily reverses the effects of an opioid overdose. The Edmonton Men’s Health Collective, Fruit Loop, E2S – Edmonton 2 Spirit Society, and The altView Foundation are coordinating free Naloxone training for LGBTQ2S+ community members and service providers, in addition to hospitality and nightlife staff, on January 23rd. Other members of the community are welcome to attend as well. No one will be turned away. Training will start at 6pm sharp (please arrive 15 minutes early for registration) and will last for 1-1.5 hours depending on questions and discussion. Those interested will also have the opportunity to practice their injection skills on an orange so that you can be even more comfortable using your Naloxone kit if the situation ever calls for it. Furthermore, we will be giving an introduction to drug testing kits. The training will be offered by Indigo Harm Reduction Services, and will take place in the Alberta Room of Family and Community Services in Sherwood Park (Second Floor at 501 Festival Avenue, Sherwood Park). The most convenient parking is at Salisbury High School next door or across the street at the Sherwood Park Mall. Limited two-hour spaces are available around the building as well. To ensure enough spots (and take-home Naloxone kits) are available, please fill out the form at the provided link so that we are aware of numbers. If you have any questions, please email the EMHC at contact@yegmenshealth.ca. Next : altView’s 2019 AGM!